We can’t think of travel without good suitcases to pack our clothes and essentials in. The suitcase must be durable enough to endure the treatment baggage handlers mete out, and must also be spacious enough to hold everything we need to carry. Dividers inside, pockets for documents or toiletries, external pockets for easy access to things one needs while travelling, castors for easy movement, tough handles, a reliable locking system, and of course overall good looks are some of the important features to look for in a good suitcase. There’s no lack of choice with so many brands available today and there’s no doubt that the best suitcase brands in the world are also easily available in India. But with plenty of choice comes a good deal of indecision and confusion! And that’s where this list of the top 10 suitcase brands in India of 2018 will help you choose the suitcase best suited to your requirements and your budget. Based in Mumbai with offices all around the country, Carlton aims to meet the luggage needs of business travellers around the world. 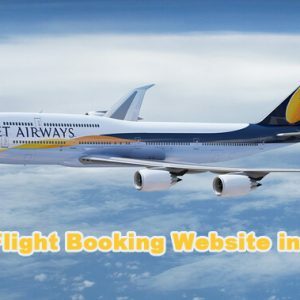 The brand has a range of hard suitcases, soft luggage, laptop bags, duffel bags, wallets, etc., in leather, polyester, nylon, polycarbonate, etc. This lightweight, Teflon coated strolley suitcase comes with a foldable duffle bag, laundry bag and shoe pouch, plus a TSA lock, and a PVC toiletries bag. 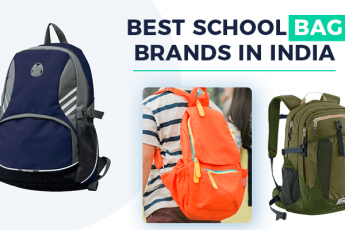 Skybags is one of the big brands from VIP Industries (a section of the DG Piramal Group) and is among the bestselling luggage brands in the country today. The brand covers a wide range of travel products including backpacks for school and college, suitcases, duffel bags, trolley bags, etc. 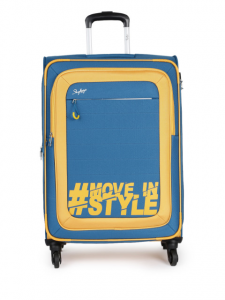 This Unisex Hashtag suitcase is just what a young traveller would choose. Bold colours, a trendy hashtag, roomy interiors and plenty of pockets, a bottle holder, and a combination lock are some of the main features. Samsonite is an American luggage company that has numerous well-known brands under it. 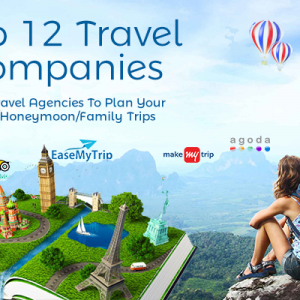 The company also has a wide range of travel products under the Samsonite brand. It is based in Luxembourg City and was founded in 1910. 40% of all Samsonite luggage is currently manufactured at its factory in Nasik. This Synncon Polyester Carry On suitcase comes with a TSA lock, shoe bag, short pouch, side pockets, retractable handle and four wheels. The body is made of a mix of nylon and polyester fabric. Follow Shoppers Stop on Streamz of GreatBuyz to stay updated on their latest news, sales and offers and more. Get coupons of Shoppers Stop on GreatBuyz for your online shopping. 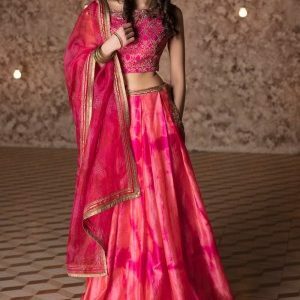 Shoppers Stop Coupons Follow Shoppers StopCheck Coupons of Suitcases from various Brands on GreatBuyz. 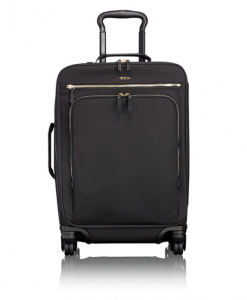 Founded in 1975, Tumi Holdings Inc is based in New Jersey, USA. The company was created by Charlie Clifford and is known for high end luggage and other products. Today the company is owned by Samsonite. 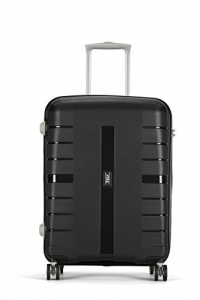 The Super Leger International Carry On Suitcase is perfect for the stylish traveller. The case has an innovative front cover than gives you easy access to a separate compartment in the case. The suitcase has leather detailing, four wheels, telescopic handle and a 44 litre capacity. Delsey is a French company based in Paris. The company was formed in 1946 and is a well-known brand worldwide today. The products have a distinct French flavour in design and also in the names of the collections. The Sejour Large Trolley Suitcase has a stunning textured surface. A spacious main compartment, one zip pocket and one zip compartment on the flap gives you enough space to pack neatly. Double inline skate wheels and the retractable handle make it very easy to move. The TSA lock provides excellent security. The American Tourister brand is owned by luggage giant Samsonite. The original company American Luggage Works was started in 1933 in the USA by Sol Koffler and was acquired by Samsonite in 1993. Their main products include wallets, backpacks, and suitcases. The company has announced ace footballer Cristiano Ronaldo as its brand ambassador for 2018. This Jamaica polysester suitcase is made with high quality durable polyester. The capacity is 120 litres and there are internal and external pockets, a number lock and four wheels for easy manoeuvring. Amazon coupons available on GreatBuyz. Follow Amazon on Streamz of GreatBuyz to stay updated on their latest news, sales, offers and more. The largest in Asia and the second largest luggage maker in the world, VIP Industries was founded in 1971 and is a part of the DG Piramal Group. The VIP brand started with a range of hard suitcases and has since expanded to include a wide variety of soft luggage too. There is a state of the art design lab in Nashik that has earned several international patents and design registrations. The VIP brand is a leader in the suitcase and luggage sector. 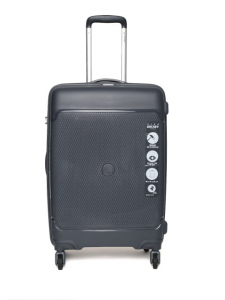 This VIP Voyager Hardsided Suitcase is made with Polypropylene that is built to last. The attractive design will make heads turn for sure! This suitcase has two compartments, a TSA locking system, and a detachable travel pouch among other features. 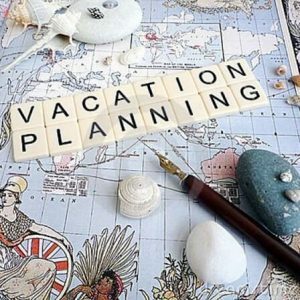 Check Coupons of Suitcases from various Brands on GreatBuyz. Safari Industries started in 1974 to manufacture plastic moulded luggage. Today the company manufactures hard and soft luggage and has its manufacturing unit in Halol, Gujarat. The name Safari comes from the Swahili word for journey and the company mission is to make excellent travel products that make every customer’s journey the best possible. This Black Thorium Polycarbonate suitcase is lightweight and tough. With four wheels, a number lock and retractable handle it’s perfect for frequent travellers. 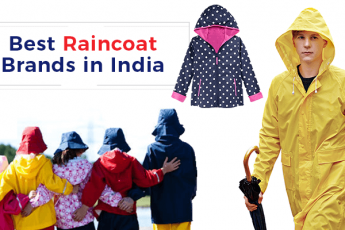 Click here to go to Safaris’s Amazon India shop. Founded in 1985 Tommy Hilfiger is one of the best known fashion brands with its headquarters in New York. Tommy Hilfiger started as a fashion designer and eventually launched his own label. Known for trendy and fashionable menswear the brand soon expanded to women’s fashion and later to accessories and other products. 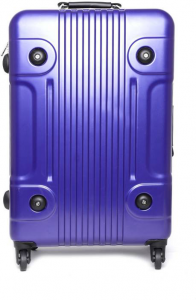 This bright purple hard bodied suitcase is trendy and eye catching. There are two compartments divided by a nylon divider. It has a numerical locking device. Victorinox was established in 1884 by Swss pioneer Karl Elsener. The iconic Swiss Army Knife was developed a few years later and soon the brand became known worldwide. The range of products is now much broader and includes watches, fragrances and a variety of travel gear. 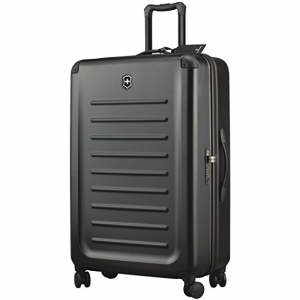 The Victorinox Polycarbonate Hardsided suitcase, as the name suggests, is a hard bodied suitcase made of polycarbonate plastic. The capacity is a generous 90 litres and it has a TSA type lock. With 4 double wheeled castors it is super easy to move around. Now that you have the best suitcase brands in India all listed together you should find buying one for yourself an absolute breeze. Start shopping now! Thanks for sharing! 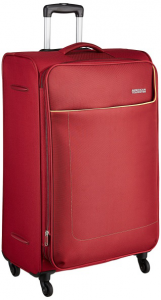 American Tourister is the most popular suitcase brand in India in the recent times. Its mainly due to too many advertisements from them in the recent times.